Although our breed is supposed to be able to work under all conditions, it would not be fair to expect our pets to work in extreme heat; as with elite athletes it takes a lot of conditioning to handle the really tough weather situations without undue stress to dog (and handler). “That where the temperature for the following training day’s forecast is 36 degrees or above, training may be undertaken in the cooler part of the day (normally in the morning). 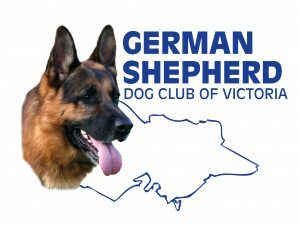 Note: the “Forecasted Temperature” is defined as the temperature forecast on the evening immediately before a training day and a 36 degrees temperature will be a reason to stop all dog obedience activities excluding VCA sanctioned events, when the VCA heat policy will apply”. What does this mean for Eastern Branch? The forecast top temperature for Wednesday as broadcast on Tuesday evening is 36 degrees or greater. If in spite of the forecast, the temperature at any time on Wednesday reaches 36 degrees or greater. Sunday morning training will also be cancelled if, according to the BOM the expected temperature on Sunday is to be 36 degrees or greater. These restrictions have been developed in order to protect the health of members and their dogs.